I like reference books. When I buy a writers’ book, I often begin working the examples. One of James Scott Bell’s pieces of advice suggested to read through the book once and highlight what grabs you. Then, read through it again and underline the thoughts that really stand out in red. I’ve done that. I began with his book, Plot & Structure: Techniques and exercises for crafting a plot that grips readers from start to finish. Another of his books I like is The Art of War for Writers: fiction writing strategies, tactics and exercises. He copyrighted it in 2009, and Writer’s Digest Books, Cincinnati, OH published it. Yesterday. I mentioned that we are made in the image and likeness of God and therefore, we are creative beings. I read and implement strategies from a variety of published authors that move from fiction to writing non-fiction about what helped them in the craft. Each book is unique because we are all individuals. I’ve enjoyed learning from so many writers over the years, whether in person at writer’s conferences or through their expertise on the written page via paper or electronic devices. What a privilege. After the learning comes the doing, putting words on paper or screen. Where we differ from God: He creates and it’s perfect. We attempt artistry and if we leave it alone for a few days, when we read it, our masterpiece doesn’t make sense or present the image we pictured in our mind. Then the editing begins. Also, we may face fear of ridicule or rejection. God’s Word tells us that perfect love casts out fear. God’s love is perfect because He is love. 1 John 4 talks about His love. From these verses and others in the Old Testament, I believe Jesus is God, the Son. I can’t say that He didn’t fear when He took off all His godly attributes and took on the form of man. Before the crucifixion, it says in the Gospels that He sweat blood because of the anguish He experienced in the Garden of Gethsemane during prayer. In the book of Hebrews, it tells us that Jesus understands us completely because He became a man, but He was completely filled with the Spirit of God. As humans, we can experience an infilling of the Holy Spirit at times, but we have to seek God for more of the Spirit. It takes work because we’re in a spiritual battle and our flesh wants to do what the body wants to do. It’s the same with writing as a career. I find that I can’t give up trying to learn more and trying to face down a tired mind and a weary body when I need to get something done for a client or a deadline. Also, keeping up with technological changes and industry standards and marketing takes stamina and using more brain cells. To me, staying the course in Christianity and keeping on track for writing are worth the effort and bring me joy. The latter is a lesser joy, but if I give up there’s something within me that urges me back to the creative endeavor. For a while in college and then for another seven years, I pushed God aside and lived as I saw fit. As a newlywed and a new mom, it should have been the happiest years of my life. Things and people satisfied for a short amount of time; selfishness caused discontentment and frustration and sorrow. When I first read the Scriptures where Jesus said if they persecuted Him they’ll persecute His followers, I stopped and pondered that a while. I’d rather be persecuted here on earth for a short time than to be in hell, tormented forever. Christians are persecuted more now than ever before in history. I heard the stars and planets are lined up exactly as they were when Jesus came to earth. Some folks believe Jesus is coming back for His church on Saturday. My daughter said when they start saying the day and time, then we know that won’t be the day or time, because Jesus said we won’t know the day or hour. With all the earthquakes and hurricanes and tumult in the world, it seems closer than ever. I guess we’ll wait and see. May God bless you. I’m grateful for the opportunity to write. Thanks for reading this if you stuck around for the whole thing. I didn’t expect to say so much. Today, I needed to wait for my husband at an appointment, so I decided to read the Bible. As I was reading, I thought the Lord was directing me to Ephesians 4 & 5. Then I read chapter 6 while I was at it. In chapter 4 it reminds Christians to walk worthy of the calling that God has given them. After that, we went to a large grocery store to buy our lunch and then I’ve been busy doing this or that. I want to ponder the writing path God has for me. I have such a broad interest range and I’ve heard for years that a writer should have a niche. Possibly ten years back I felt sure that God wanted me to purchase a book at a bookstore in a mall by Peter Bowerman entitled, The Well-Fed Writer: Financial Self-Sufficiency as a Freelance Writer in Six Months or Less, copyrighted in 2000 and published by Fanove Publishing, Atlanta, GA. I read about 75 pages and then gave it to my daughter for a while. I began an online course a couple of years ago on copywriting, again at God’s leading. I may need it someday, and I do work professionally as a writer and the things I’ve learned have come in handy. The niche writing that I’m contemplating is for magazines or novels or non-fiction books or writing for the internet. Yelling at my computer and then admitting that that was not helping and to repeatedly do the same thing was not helping either. I tried a different thing and it worked. Yay! I hope your day has not been as filled with a scattering of responsibilities and stress and leisure and procrastination as my day has been. Having taken coaching classes a number of times, occasionally I coach myself through a situation. Usually, I ask my husband or pray about things I’m not certain about. Lately, I ordered The Christian Writers Market Guide 2017: Your Comprehensive Resource for Getting Published, by Steve Laube and edited by Lin Johnson, published and copyrighted by The Christian Writers Institute, 2017. While I was at it I ordered two smaller writers guides by F & W publishing, the name of the publishers for Writer’s Digest Market Guides. 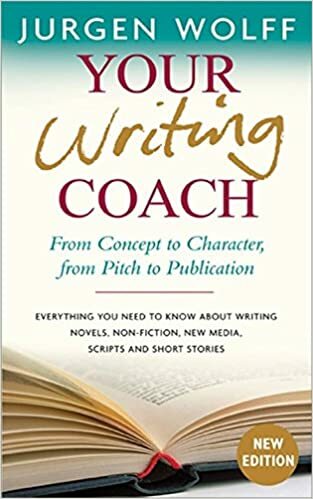 In addition to the market guides I ordered a book by Jurgen Wolff entitled YOUR Writing COACH: From Concept to Character, from Pitch to Publication – EVERYTHING YOU NEED TO KNOW ABOUT WRITING NOVELS, NON-FICTION, NEW MEDIA, SCRIPTS AND SHORT STORIES. 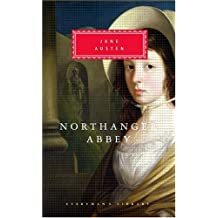 It was published by Nicholas Brealey Publishing, London · Boston, copyrighted by Jurgen Wolff in 2007. I intended to write today but I got reading the book. Many reasons why people are afraid to carry through with their writing and ways to overcome the fear show up in Chapter One: “No More Fear, No More Excuses”. Mr. Wolff gives examples from successful writers and exercises after each chapter for the endeavoring author. 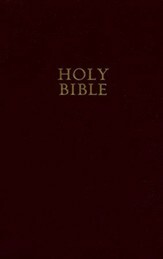 This is a picture of the newer edition copyrighted in 2012. I wish I’d realized there was a newer edition. This picture is from Amazon.com and I purchased my copy from Amazon but somehow I didn’t see the more recent example. I’ve already started marking the old one, so hopefully there’s not a ton of changes. Oh, well. I’m really enjoying it and finding it helpful, even though some of the content I’ve read before. Every author has unique contributions to help with the writing craft and some items can’t be unique because “they are what they are,” to use a cliché and they’re not likely to change. I watched the Superbowl LI on Sunday with my husband and I felt like I understood the game so much better this year. I’ve been watching football for years and hearing the terminology over and over again. I had two boys that played football and my youngest sat in the stands with me to watch his older brother. He patiently explained so many of the rules and the positions of the players and their various responsibilities. Sometimes I felt like I was catching about ten per cent of what he was saying. Sunday night, it just clicked. I hardly asked my husband any questions, which he probably appreciated. It was fun. This book is presenting writing tips I’ve read before, but just like Sunday night’s game, I feel like some of the information is clicking and I’m seeing things clearly. That’s why writers like Jerry Jenkins and James Scott Bell tell less experienced writers to keep working to learn the craft of writing. There’s so much to it, which I’ve said before in this blog. I was at the library today to read my Bible and to do some writing. I’d just settled in to write a bit when I felt as though the Lord said to “Go home”. 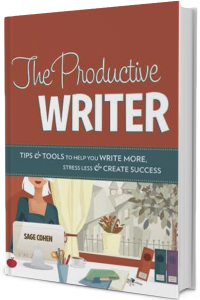 So, I did and I got the mail and in it came this book on writing with plans for succeeding and suggestions for taking time to think before you write. So, I’ll wrap this up and prayerfully consider my next project. It’s amazing how much smoother my life goes when I include God in the details. When I was organizing the other day I felt certain the Lord spoke to my thoughts, “Do your work heartily as unto Me,” which is from the third chapter of the book of Colossians. God knows that I sometimes get weary doing dishes and clearing counters, etc. That verse will motivate me to keep going when I’d rather be doing something like reading or writing or not doing arithmetic.